Breathe easy. 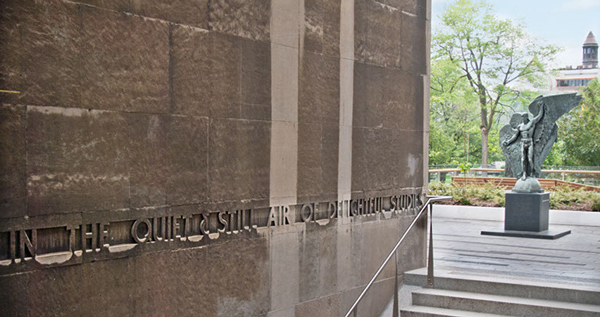 The McGill community is invited to attend a special event in support of a smoke-free McLennan-Redpath Terrace on Wednesday, May 28, from 11:30 a.m. – 12:30 p.m., rain or shine. Take in the special performances and speeches or strike a pose in our "terrace photo booth." Breathe easy. The McGill community is invited to attend a special event in support of a smoke-free McLennan-Redpath Terrace on Wednesday, May 28, from 11:30 a.m. – 12:30 p.m., rain or shine. Take in the special performances and speeches or strike a pose in our “terrace photo booth.” Refreshments will be provided in partnership with McGill Food & Dining Services. For more information on the initiative, click here.